Place the ribs in a large saucepan of cold water over high heat, cover with a lid and bring to the boil. Reduce the heat to low and cook for 1 hour or until tender. Carefully remove the ribs, discarding the liquid. Preheat oven to 200°C (400°F). 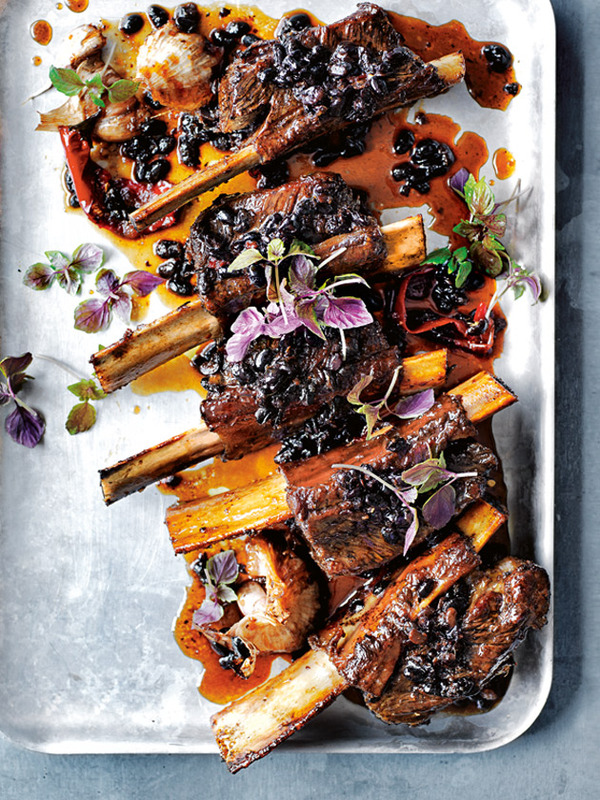 Place the ribs, black beans, water, garlic, ginger, sugar, honey and chilli in a large deep-sided roasting pan. Cover with aluminium foil and cook for 45 minutes. Remove the foil and carefully turn the ribs. Cook, uncovered, for a further 30 minutes or until sticky and glossy. + Salted black beans are soy beans that have been fermented. Find them in bags or cans at Asian grocers and specialty food shops.